Home » Stories of Success » Events » Peanut Fest 5K Registration is OPEN! Peanut Fest 5K Registration is OPEN! 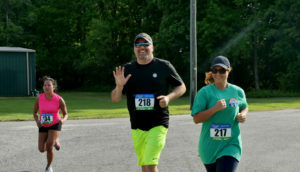 Registration for the Fall 2018 Peanut Fest 5K Run/Walk – 1 Mile Fun Walk is now open. Come enjoy the fall weather by getting active!